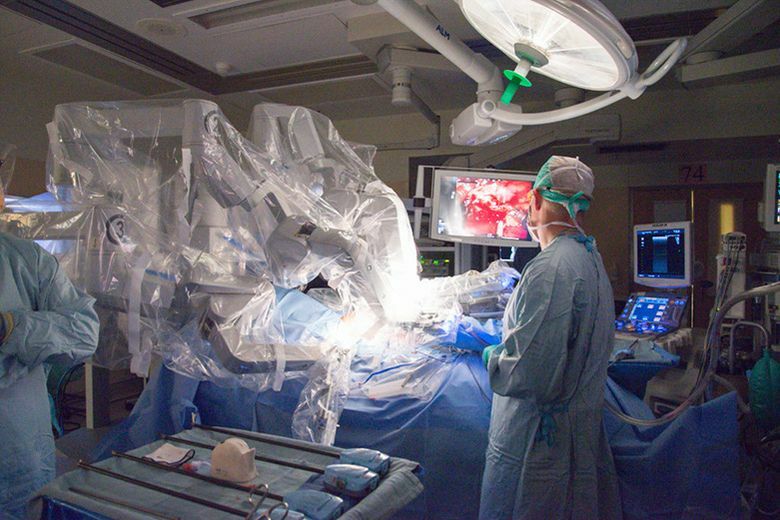 A new study by University of Washington researchers finds that minimally invasive techniques such as laparoscopy and robotic surgery may be a safe option for major liver operations. Liver-cancer patients who require major surgery to treat the increasingly common disease are usually offered just one choice: an open-abdominal operation. But a new study by University of Washington researchers finds that minimally invasive surgery may be a safe option in the short term. The odds of serious complications or death in patients who had surgeries known as major hepatectomies using minimally invasive techniques were about half those of patients who had conventional surgeries, according to an analysis by Dr. Lucas Thornblade, a UW Medicine general-surgery resident, and colleagues. At the same time, the risk of other problems, including liver failure, a second operation or being readmitted to the hospital were similar for the two operations. That’s according to a review of 1,015 patients who had the surgeries in 67 hospitals across the U.S. in 2014, the largest multicenter study to date. “We are encouraged by the results,” said Thornblade, lead author of the study presented Monday at the 2016 Congress of the American College of Surgeons. 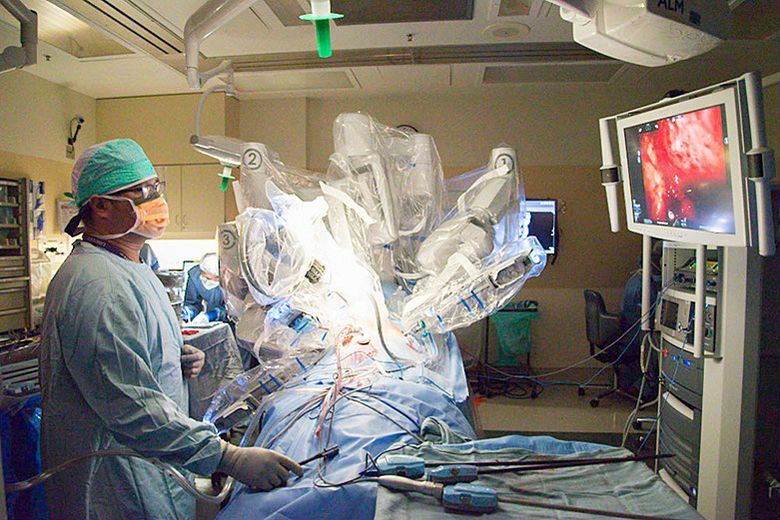 Using minimally invasive techniques such as laparoscopy or robotic surgery has become the standard of care for many liver procedures. But they are still rarely used for major hepatectomy, a high-risk operation where half a person’s liver is removed to treat cancer and other diseases. In the 2014 review, only about 13 percent of those operations were performed with minimally invasive techniques, typically by a surgeon with keen skills and years of experience, Thornblade said. “It is considered a challenging surgery,” he said. But such minimally invasive operations have well-known benefits, including less blood loss and faster recovery times. That’s important for the 20,000 patients in the U.S. each year newly diagnosed with liver cancer, the fifth most common cancer among adult men and the seventh most common in adult women, according to the American Society of Clinical Oncology. In 2014, experts at the Second International Consensus Conference on Laparoscopic Liver Resections concluded that the use of minimally invasive surgery for major liver operations was still considered innovative. That’s partly because many factors must be considered for each patient, including the location of the tumor and how close it is to major blood vessels. And it’s partly because of the steep learning curve for surgeons. Only about half those who perform minimally invasive surgery use it for major operations, Thornblade said. “It’s probably done very selectively,” Thornblade said. But the results of the new study will contribute to growing knowledge in the field, he added. Patients who require major liver surgery should ask their doctors whether they’re candidates for minimally invasive techniques. “It’s still up to the patient and the surgeon what the right approach is,” Thornblade added.